Know The Benefits Of Group Study For UPSC IAS Exam 2017-IAS Prelims 2017 is scheduled on 18th June 2017. UPSC has also released the dates for UPSC Mains exam 2017 as well. Group discussion is one of the effective methods of learning. UPSC IAS Exam is the toughest exam in the country. It checks the aptitude, knowledge, opinion, decision-making skill of the candidates. Group Study is essential for the UPSC IAS Exam. This method of study will help you in many ways. An effective group discussion is only possible if you have good peer groups preparing for the UPSC IAS Exam. Let’s see the benefits of group discussion and make learning effective for the UPSC IAS Exam. 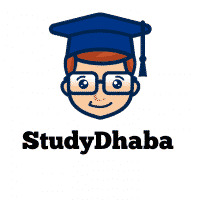 If the aspirants are studying in a group, then it will be easy to complete the syllabus faster. The UPSC syllabus for IAS exam is vast. The syllabus can be broken down into small chunks and distributed among group members. Aspirants should prepare properly and share the information among group members. A healthy discussion on the topics will help you to gain more knowledge. Different minds composed in a different level of perspectives, discussing a topic, generates good questions. Not only good questions, they find a relevant answer for them. These are doubts and questions generated during group discussions will help you in the examination. The Group discussion helps in the UPSC IAS Exam preparation by generating conceptual question and finding their answers. A group discussion normally happens in a peer group. It is an informal talk and sharing ideas in the group, generating ideas and opinion etc. The serious discussion among UPSC aspirants will enhance communication skills, language proficiency, confidence, body language, leadership skills, group interaction skills etc. Aspirants should take a relevant topic and it should be discussed from all spheres and perspectives. For UPSC Mains Exam preparation also aspirants can adopt this learning method.if the aspirants are discussing the UPSC IAS mains question paper in the group, it will help the candidates to know the different ways of dissecting the question, various aspects of the question, opinion etc. Aspirants may learn something wrong while preparing for UPSC exam. You may mug up the wrong concept which you think it is correct. When you discuss it in your peer, you come to know it is wrong. In this way, you can rectify wrong concepts and perspectives about the topics.fied. If you don’t discuss it in the group, you may write this wrong concept even in the exam and get fewer marks for it. this will also help the UPSC aspirant to rectify the mistakes. The group discussion is one of the best methods of self-assessment. In group discussion aspirant come to know that in which subject or area you are weak and you need to put more effort. Benefits of Study GroupIn addition to learning new perspectives on a topic, you can also find new study techniques.